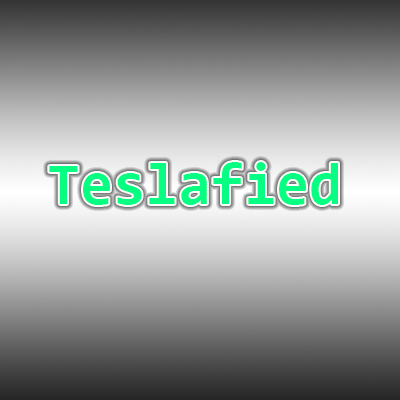 Teslafied is a mod that simply adds Tesla support to all RF and AE Energy-based TileEntities. What you see here is a solar panel which only generates Tesla and a RFTools powercell which does not support Tesla. The current (in dev aka RV4) version of Applied Energistics 2 offers only one power solution-their vibration chamber. If you were to want to power any sizable network, you'd need a wall of vibration chambers to power the network. So for the time being, I alleviated this problem. Does this work with FE too? If you have a block that only accepts Tesla, will this mod make an RF energy source compatible? Do you plan on implementing Tesla to EU similar to EnergySynergy? Or Tesla to Forge Energy? With RF-Bridge attaching Forge Energy to RF TE's, it would be interesting to have a truly universal solution (if possible) by using Forge and/or Tesla as the medium. But Immersive Engineering is RF Based to begin with. .-. Which is the whole reason why this is useful. EnderIO has no RF support. This let's them play nicely together since it "forces" IE to use tesla (at least until BluSunrize stops IE from working with this). Actually nevermind. Maybe an EnderIO update fixed it or something but they work fine together as is. So you're right I guess there's no point in this for that use case. My bad. This is a pretty current list of mods and the energies they support: https://docs.google.com/spreadsheets/d/1cay91dfNXrell8swa43yk2L6JVOlzSD0Qo7AOxz3nGk/edit#gid=534173858 Mod authors are able to submit their mods to this list as they wish.